you can enjoy your food as you watch the tide creep into the harbour. With a menu inspired by Rick’s travels around the world, why not try the new Mexican sharing platter next time you’re in? 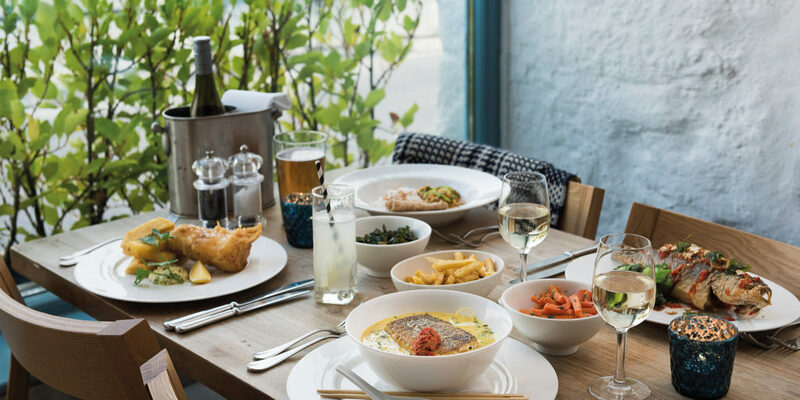 Now open during the evening from Friday to Monday and every evening from mid-July, Greens of Padstow provide mouth-watering food, stunning wine and first class views of the Camel estuary. Tuck into a perfectly cooked ribeye steak with garlic butter and fries, alongside a bottle of Polgoon Pinot Noir (whose grapes are grown right here in Cornwall). Or, for a taste of the sea, try the warm crevettes in a salsa verde sauce served with seedy salad, artisan bread and a tangy lemon mayonnaise. If you just fancy drinks, then make sure to arrive for happy hour from 5pm to 6pm and get two cocktails for £12. We hear it’s popular so make sure to book a table in advance and enjoy a brilliant dinner with the view to boot. With its garden in full bloom and management by Jonny and Sam Pearce offering more than 20 years of experience running Cornish pubs and restaurants, there’s no better time to enjoy the fruits of sunny Cornwall at the Lemon Arms. Headed up by Daniel Blaszkowski, who previously worked with London seafood specialists Wright Brothers of Borough Market, and Tim Hammill, who learned his trade locally in places such as the Pandora Inn and Mylor Café, the kitchen team has a passion for Cornwall’s amazing local produce and, never knowing what the local day boats are going to bring in, produces an ever-changing specials menu for you to peruse. 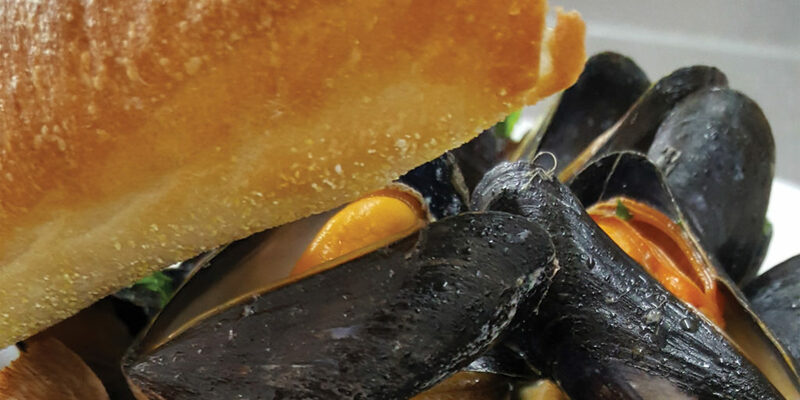 So, why not enjoy a stroll around Mylor creek and work up a sea-air appetite, before popping into the Lemon Arms and seeing what surprises the team has lined up for you? Those of you who caught the last issue of Cornwall Living may remember that we paid a visit to the Falcon Hotel in Bude, where we discovered sumptuous accommodation, fine wine and second-to-none food and service in its prestigious Lord Tennyson Restaurant. Always keeping up with local demand and rolling with the seasons, the team has just announced that they are launching an all-new summer menu, offering something for absolutely everybody with a focus on al fresco dining. Indeed, whether you want to enjoy a glass of Champagne or Camel Valley Brut on the terrace overlooking Bude’s historic inner harbour and a Cornish charcuterie board; if you’d prefer a Cornish beef burger in the Coachman’s Bar & Grill after a day on the beach, or a more refined meal of freshly cooked lobster in the smart, sophisticated Lord Tennyson Restaurant, you can rest assured that your choice from the upscale brasserie-style menu has been lovingly created using only the finest seasonal, locally-sourced produce. The best part is, whatever and wherever you choose to eat, you’re guaranteed to find a tipple that pairs perfectly with your meal, thanks to Coravin and many more fine wines by the glass. On Fridays, you can enjoy half price champagne from 5pm to 7pm and live music! What better way to settle into a relaxed summer’s evening? Beer and Bird, located in the heart of St Ives, has just been listed as one of the top fried chicken spots in the UK. The family run business (which sources all of its meat from a free-range Cornish poultry farm) was named by the Telegraph as one of the UK’s best fried chicken restaurants for 2018. 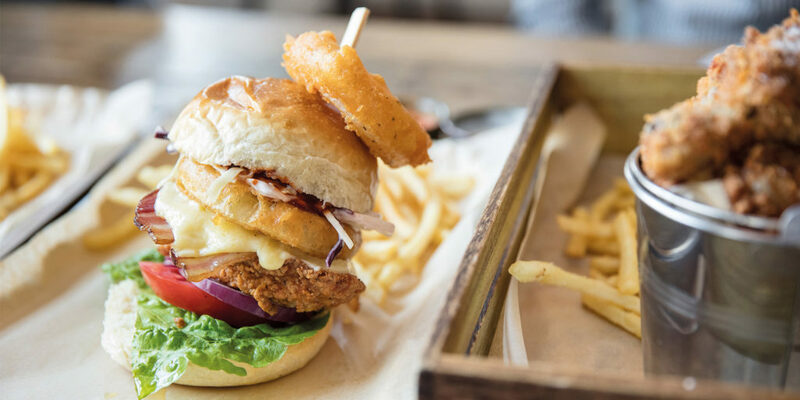 The article, which featured eateries from London, Glasgow and Dublin, was compiled earlier this year to showcase superior alternatives to fast food conglomerate KFC. Co-founder Tom Hanson tells us: “We’re really honoured to feature in the list. 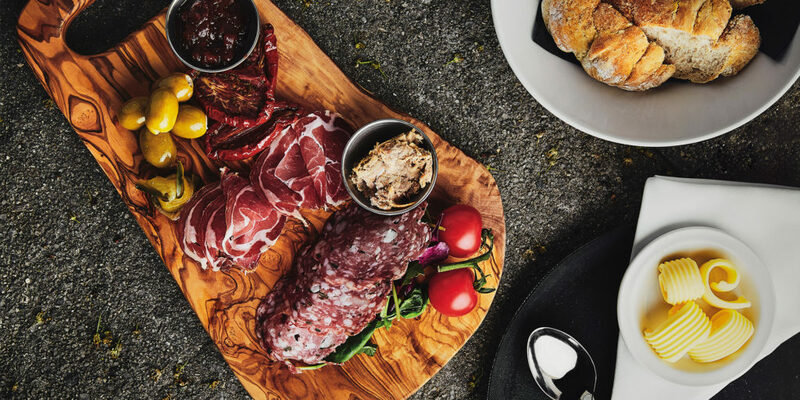 We’re extremely passionate about the quality of our food, so to be recognised in a national publication is absolutely fantastic.” So, get down to the Beer and Bird this summer and see what all the fuss is about! Dogs love Catch Seafood, Bar & Grill! 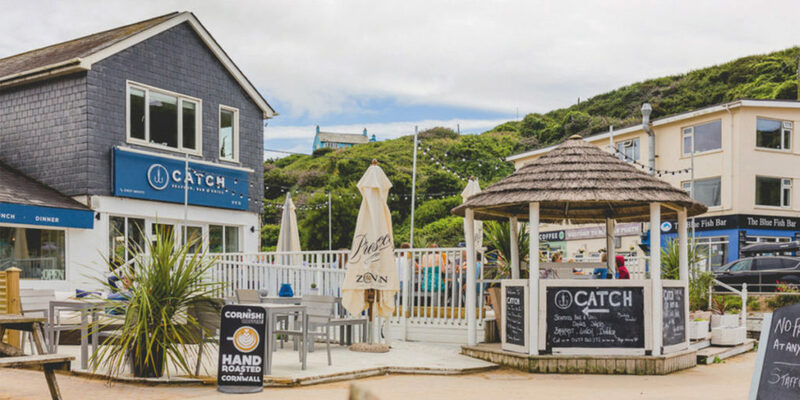 Mawgan Porth’s Catch Seafood Bar & Grill is really taking the area by storm. Indeed, it would seem that this dog-friendly restaurant and the dog-friendly beach have become something of a celebrity hotspot, welcoming A-listers including Minnie Driver, Robert Lindsay, Justin Lee Collins and Dawn French, as well as stars from Eastenders and Game of Thrones! As well as its Sunday ‘best roast on the coast’, Catch is also being recognised for its green credentials. 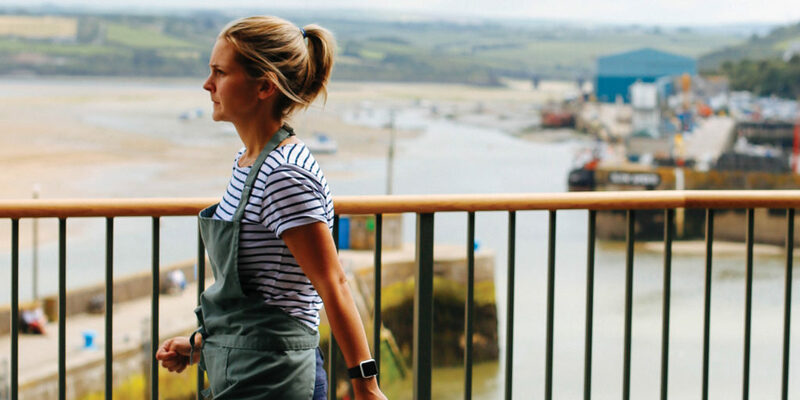 It’s recommended by The Final Straw for plastic elimination, Padstow Lobster Hatchery for ‘buy-one-set-one-free’ and Cornwall Good Seafood Guide for bringing style to unfashionable fish by using sustainable stocks and making them tastier than ever. As the team says, brill can be brilliant and cuttlefish can cut it! Catch is open for winter weekends, school holidays and all day, every day from Easter to November. 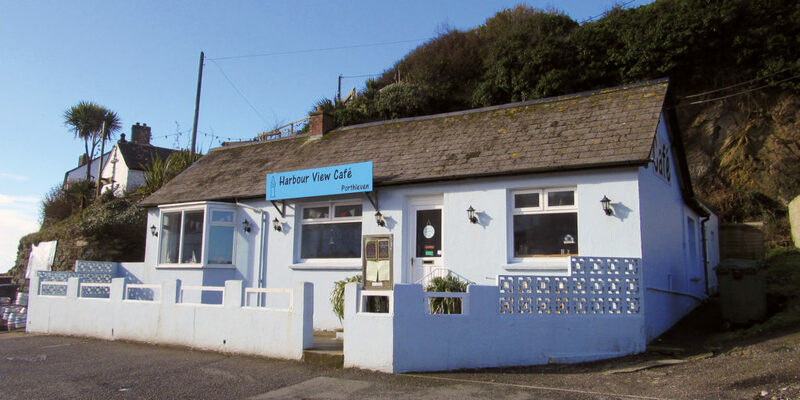 With scintillating views over Porthleven’s iconic and typically Cornish harbour, and offering freshly cooked all day breakfasts and lunches, Harbour View Café is perfect for anyone looking to refresh themselves on a day spent exploring the south coast. Managers Kizzy and Jo are already building a fantastic rapport with locals and visitors alike, especially those looking to take a load off while the dog curls up beneath the table. Indeed, the café’s Facebook page is already awash with rave reviews, with many hailing the polite, lovely staff and marking on the relaxed atmosphere. The whole menu is cooked from scratch, with plenty of delights to choose from, whatever the time of year. The café’s homemade soups, in particular, come highly recommended, as do the homemade cakes and cream teas! Enjoy delicious, freshly roasted coffee at the Apple Tree Café! New owners Penny and Martin Lees have brought their self-acclaimed coffee obsession all the way from Australia. 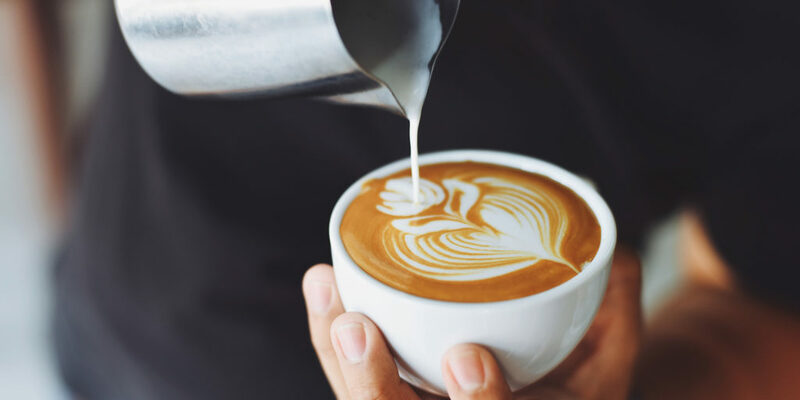 Having lived down under for eight years, the couple were immersed in the booming coffee culture and have adjusted to the Aussie norm of perfect coffee, cup after cup. On returning to the UK, they balked at the idea of no longer having their coffee fix, so made the bold leap and trained as baristas. Penny tells us: “The secret is consistently serving great coffee every single time you make it – from 9am until 5pm and every cup in between.” They now serve their own brand of hand-roasted artisan coffee, Penmarace Coffee, at the Apple Tree and package it in smaller bags to sell to customers.